Paaaaartaaay! 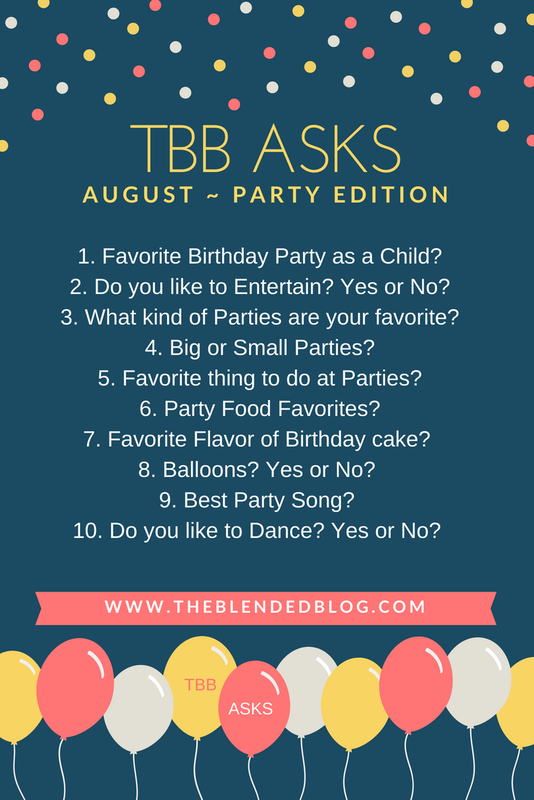 Yep, that’s what this month’s TBB ASKS theme is: All Things Party related! Do you have memories of some really good parties? Well, I’m Andrea from Living on Cloud Nine and welcome to our fun monthly Q&A Link Up. I'm Partying over at my Blog today too. Hope you’ll stick around and check out all the ways your blogger friends are partying. Before we dive in, TBB Has a major DOUBLE announcement. 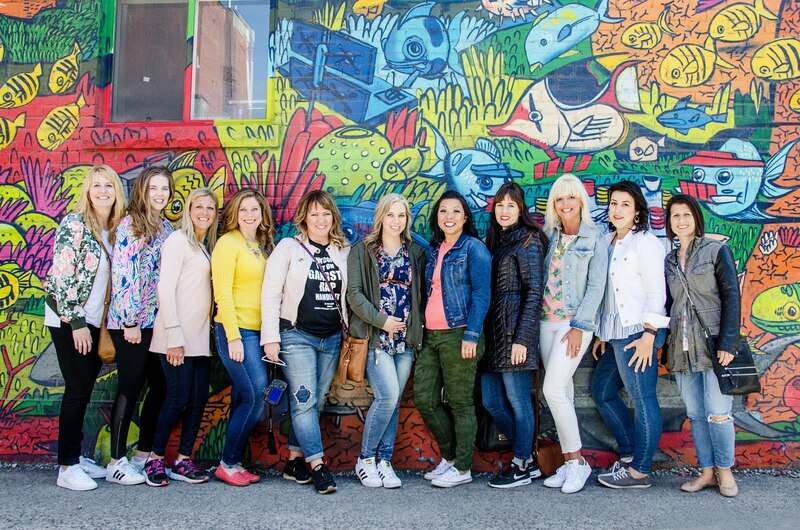 We have added 2 sisters to our Blended Blog family and we are thrilled to introduce these smart, beautiful ladies. 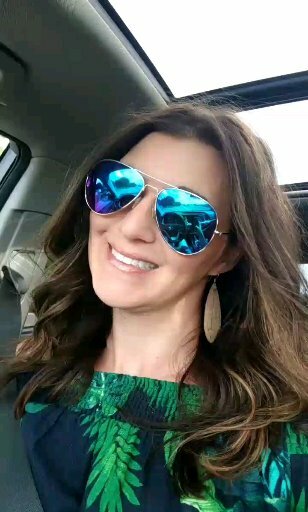 Sweet Kellyann joins us from the Sunshine state where she is the mom to two adored college boys, wife to a lucky Mr. and online school counselor by day. She brings us the biggest heart, true loyalty, culinary skills, the sweetest style and we are so blessed to add her to our crew. Her fashion sense is spot on and things real ladies wear. Kellyann happens to be a real-life bestie of mine who I’ll be meeting in person very soon. To say I’m excited is an understatement. We have oodles in common. Kellyann is so supportive to those she loves and you feel like a million bucks after conversing with her on the blog and outside of it. My life is enriched with Kellyann in it. She shines from the inside out and you won’t be disappointed when you read her dynamic blog, This Blonde's Shopping Bag. We are excited for what Kellyann brings to The Blended Blog Party. I have been reading Vanessa's blog for a good 3 years since we started doing Instagram challenges via Momfessionals. I remember being drawn to her pictures and thinking that we'd get along in real life. The more I get to know her through her blog posts or Instastories, the more certain I am that we would be great friends in real life. Now, I have never met Vanessa in real life but she comes off online as being very down to earth, real and sincere. I hope someday to meet her so we can share our love for all things camo, baseball and graphic tees. Make sure you hop over to her blog at X-tremely V and get to know her too. I'm super happy she was willing to be a part of our blogging sisterhood! Welcome, Vanessa!